Winnie-the-Pooh was real? Actually, the bear he was named after was real. 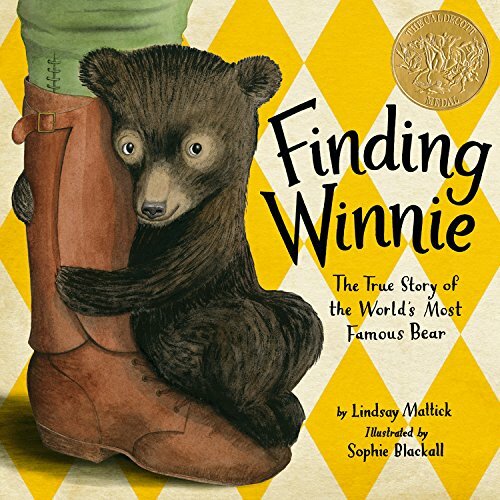 This story written by Lindsay Mattick, is the truth behind the bear and his name. Lindsay is the great granddaughter of one of the main characters in the whole affair, Captain Harry Coleburn. It seems a young Canadian vet headed off to war, saw a trapper with a bear cub and offered to buy it from him for $20, which really was a lot of money back then. The young vet kept the bear, trained it, so to speak, and named it Winnie, short for Winnipeg, to help the fellows in his unit from becoming too homesick. The bear was their mascot and traveled with them until it became too dangerous. Then he was donated to the London zoo, where he was often visited by a young boy named Christopher Robin Milne. Christopher took such a liking to Winnie that he went home and named his stuffed bear, Winnie. Well, we all know what happened then. The story is told through beautiful lyrical language as, “the train rolled through dinner…”, and difficult to grasp philosophy, “sometimes one story must end so another can begin.” It includes humor and heartbreak, but most stunningly, the truth. The watercolor illustrations are wonderfully done to realistically show children what soldiers training for the First World War looked like and how they lived. The back of the book is a collection of real photographs of the men, the bear, and even the journal in which Harry, the vet, kept his notes. The format reminds one of the many American Heritage Girl books, which were among the first to put a story at the front and the nonfiction correlation in the back. 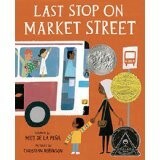 The illustrations are so stunning, they won the Caldecott Medal for this wonderful book. Publisher: Little Brown Books for Young Readers, 2015. 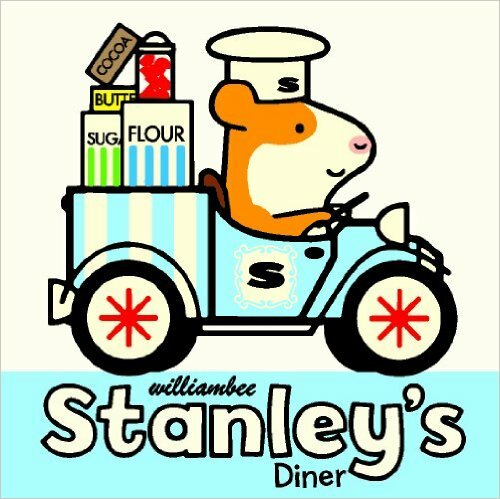 Riding the bus with Nana after church on Sunday is the backdrop of this poetic story which won the 2016 Newbery AND a Caldecott honor. The story is fresh and timely. It is realistic for all children whether they live in the city or not. The little boy doesn’t want to go again, and complains about many little things we all fuss about when we are in a bad mood. Nana turns all the negatives into positives. She gently shows him how to see things differently even as a blind musician on the bus tells him to close his eyes in order to see the music. Unlike so many books for young children that wrap everything up at the end, this book ends with a bright new beginning. He is glad they came again to the last stop on Market Street. The readers will be glad, also. The exquisite art work is reminiscent of the cut paper art of Ezra Jack Keats, as are the bright colors and realistic neighborhoods. This book is definitely a winner and a must have for every school and public library. Standards in the common core will be fulfilled in the areas of literacy and geography, but art teachers will want to tap into these pages for sample illustrations and/or project ideas, too. Special days are celebrated with good friends in a beautiful place. But sometimes it takes some searching to find the perfect spot. Someplace where birds aren’t squawking at you and squirrels aren’t throwing acorns down on your head. This delightful book will have young listeners giggling and then singing along. Beautiful illustrations take readers along on the trip to find a quiet thinking tree and plant ideas about what it is making this day so special. The word Christmas is never used which makes the book universal for all winter holidays. Finding a tree with lights on it outside is unusual, but shouldn’t bother readers as there is a fence nearby suggesting a house nearby. 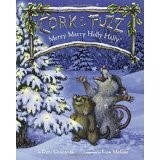 Teachers, librarians, and parents will want to add this wonderful book to the pile of winter holidays. Besides all the fun it offers, this book will also fulfill core curriculum standards in the area of literacy skills as teachers can use Cork and Fuzz as excellent examples of real life characters by listing their character traits. Understanding picture clues and predicting outcomes are also skills easily strengthened for grade one and grade two readers. So fun! Good deeds and sweet treats for any neighbors you meet is the teacher’s plan. The gingerbread man, who is part of the class, sets out to do his own random deeds of kindness when the sudden snow storm sends the rest of the class back to school. The plot twist is fresh and unexpected. Characters are realistic and illustrations are detailed and entertaining. Rhyming and rhythm, plus fun fonts and graphics will have grade two readers and grade one listeners wanting to start this new holiday book over and over again. Teachers, librarians and parents will enjoy this new holiday book capable of fulfilling literacy core curriculum standards while providing Gingerbread fun. 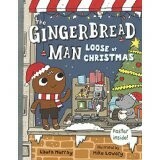 Other books with the same main character are available: The Gingerbread Man Loose on the Firetruck, and The Gingerbread Man Loose in the School. Surrealism or nonsense? A little bit of both can be found in this new book by Eric Carle. Most nursery rhymes contain such nonsense and are actually what make them fun. 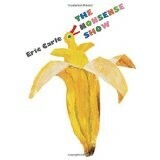 The nonsense show brings to mind the reality shows of today that point out some of the silliness of our lives. Each page says or shows something impossible, ridiculous, laughable, and silly. A snake who lost his tail? A bird coming out of a banana peel? An upside down man eating cake? Eric Carle once again uses his specially made paper and collage with painting illustrations. Grade one readers will be able to read most of the book on their own, just being challenged with the array of multi-syllabic words on the last double-paged spread. 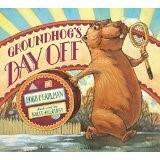 Teachers, librarians and parents will most likely read this book aloud at least at the beginning. Core curriculum standards in literacy can be met in the teaching of picture clues, fiction versus nonfiction, rhyming words as well as other isolated skills. 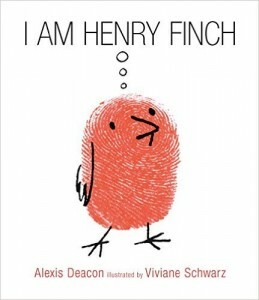 Henry is a finch. And he acts like a finch. Up in the morning with the flock. Says “Good morning” with all the finches. “Good afternoon,” “Good evening,” and “Good night” too. The only change in the routine is when the Beast shows up. The finches fly to a tree. Then Henry has a thought about being great. A thought that gets him swallowed by the Beast. Eventually, he plants a thought in the Beast’s head. “Open.” The Beast opens its mouth and out flies Henry. Safe again, Henry invites the other finches to have thoughts. 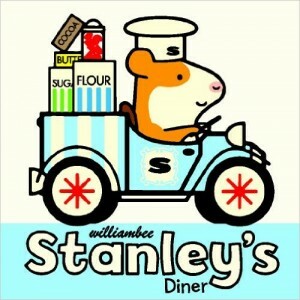 The wonderful illustrations in this entertaining book make up a good deal of the story. When inside the Beast, where it’s dark, the pages are black and the images are jumbled. The book may be silly, but first graders will learn a lot about following their talents and about being a leader. As a read aloud, it’s a great tool for teachers and parents to interact with the kids. Friends can be found just about anywhere, including your imagination. When Maple heads off to big girl school, Willow is lonely and bored for a little while. Then she makes up an imaginary friend based on the acorns she and Maple played with before school started. 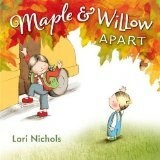 As Maple comes home with exciting stories about kindergarten, Willow has stories of her own about adventures with Pip. The pencil drawn, digitally colored illustrations clearly show each emotion experienced by siblings as one heads off to school. 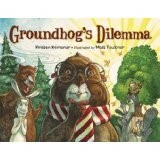 Parents, librarians and teachers will find this text useful in helping the youngest students cope with the separation. First grade readers will recognize the signs of fall, and younger children will love the illustrations as this story is read aloud. Teachers can meet core standards of science while also addressing the feelings of those brothers and sisters left at home. Stories like this help us all understand each other a little bit better. Art teachers of older students can use this as an excellent example of color blending, as well as the intricacies of showing emotion with the simplest of pencil strokes.